Stroke can affect anyone, especially those deemed to be in the high-risk category. Most stroke patients often encounter movement difficulties due to paralysis or partial paralysis of the body or affected areas only. They are also at risk of developing speech difficulties and swallowing disorders due to the paralysis or partial paralysis of the facial muscles. Other complications associated with stroke include depression and memory disorders. The recovery process or rehabilitation for patients with stroke is extremely important in enabling patients to regain the functional capacity of their bodies and thus improving their quality of life. The rehabilitation process for post stroke patients includes physiotherapy, occupational therapy and speech therapy. Several traditional therapies can aid or complement modern treatment in the recovery and rehabilitation process of post stroke patients such as massage, acupuncture and others. Acupuncture is a branch of traditional Chinese medicine. In Chinese, the word acupuncture means to prick with a needle. Acupuncture is performed by inserting fine needles at particular meridian points on the body to release any blockage in the flow of the Chi (vital energy). As of June 2015, there are 15 Traditional and Complementary (T&CM) Units located in selected hospitals all over the country. Among of the services provided by the T&CM Units in these integrated hospitals is acupuncture for chronic pain and post stroke management. This service is exclusively available to patients who have been diagnosed and referred by medical officers. After a preliminary assessment, the patient is then seen by the practitioner in charge. Acupuncture is believed to be beneficial in improving disabilities, reducing pain and depression in patients after a stroke. Based on the treatment concept of traditional Chinese medicine a disease or disorder is caused by the imbalance of Yin and Yang. Yin refers to the ‘feminine’ aspects of life such as softness, coolness and guardianship while Yang refers to the ‘masculine’ aspects of life such as roughness, heat and dominance. The flow of Chi revolves around the movement and interactions of Yin and Yang. Chi moves through the ‘energy channels’ known as meridians that flows all over the body to give nutrition to organs and tissues. When the flow of chi is disrupted, disease ensues. The technique of inserting an acupuncture needle at a specific point on the body functions to remove any blockage to the flow of the Chi. According to modern scientific research, the insertion of acupuncture needles at specific points in the body will stimulate the release of chemicals called neurotransmitters and hormones in the muscles, spinal cord and brain. These chemicals function to enhance the immune system relieve pain and assist in regulating bodily functions. The balance of these chemicals and hormones in the body may also support the body and emotions in the healing process. There are various techniques used in acupuncture e.g. acupressure: the use of massage at specific acupuncture points; moxibustion: the burning of mugwort, a soft sponge-like herb, on an acupuncture needle or point; and electro-acupuncture: the application of a small electric current through an acupuncture needle to stimulate the acupuncture point. Acupuncture is considered a safe method if it is performed by a qualified Traditional Chinese Medicine practitioner using the right techniques and observing strict hygiene. 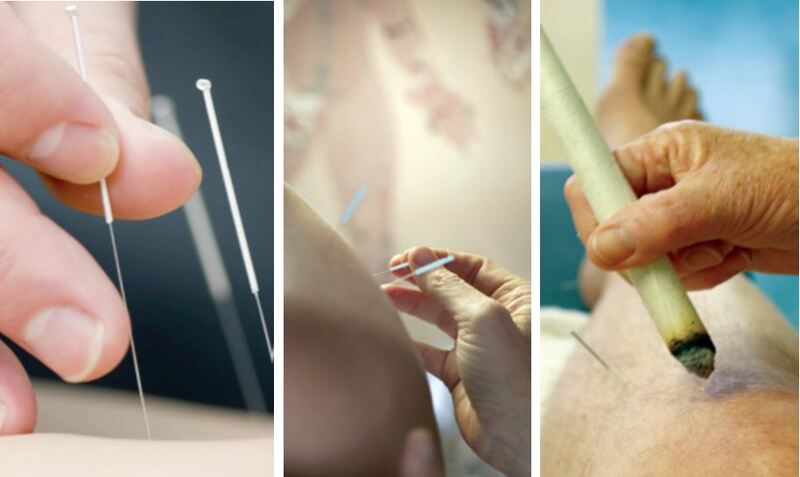 Acupuncture is an invasive procedure that is also associated with risks of complications such as puncturing of internal organs e.g lungs ad major blood vessels; infections and bleeding. However, these risks can be minimised if necessary precautions are taken during the procedure. Technical Report 2015: Acupuncture for Post Stroke Rehabilitation by Health Technology Assessment Section, Medical Development Division, Ministry of Health Malaysia.